Sean Ryan is a security consultant. To him, that means a lot of things from being a personal bodyguard, through training civilians to be able to take care of themselves long enough to get out of harm's way, to leading a group of mercenaries. His company is Sean A. P. Ryan & Associates. The "A.P." stands for Aloysis Patricus. The full moniker shows he is clearly of Irish stock but he is American through and through. He is a child of Hollywood where his father was a successful movie actor and where young Ryan grew up visiting the movie sets and learning a considerable amount of the film industry. He did a small amount of acting as would be natural considering who his father was, including a scene in a teddy bear outfit, but Ryan was not particulary interested in acting; it was the work behind the scenes that interested him. The stunt people and the special effects specialists and the props department - that was where Ryan spent his time. Ryan was a sharp boy and he gathered knowledge like a sponge and soon was able to fight and wrestle like a professional, knew the insides and outs of a variety of weaponry, and was able to whip up small explosives out of all sorts of household chemicals. And then there was his mother, an FBI research officer who provided a whole other side of training he would later use in his chosen profession. From her he learned to pay attention around him, knew who to ask the right questions of, and got to understand the power of authority, and the limitations of it as well. Ryan is an interesting man. He is often seen with a mischievious smile on his face as he always appears to be enjoying himself. He does not seem to take himself or anyone else that seriously which is charming in a lot of cases and off-putting in others. He does not come across as especially dangerous because he is but 5'6" tall and wiry but there are a good number of people who can testify to how deadly he can be in an instant and not a few who aren't around anymore to spread the word. Being a smallish man, Ryan knows that bravado and posturing doesn't win the day. Striking first and hard often does and being willing to go over the top in battle is the best offensive. The books seem to be in two groups. 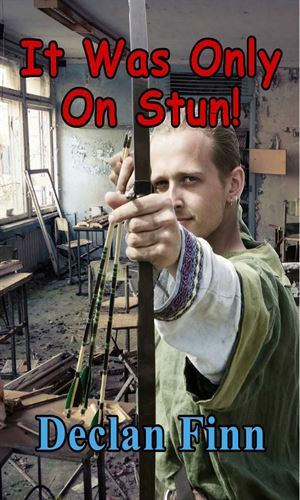 The first group is the Convention Killings series and include the first Ryan adventure and the 6th. The second group is the Pius Trilogy and contains 3 novels and 1 collection of short stories. There is also a treatise which I put in the Reference section. 1 It Was Only On Stun! 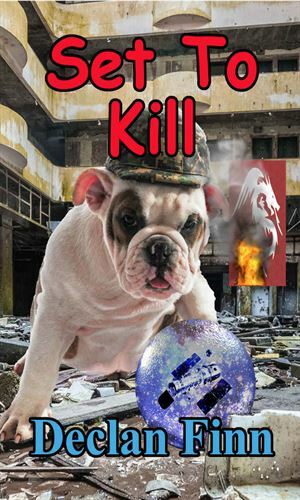 Book 1 in the Convention Killings series. Mira Nikolic is an actress who has managed to make a fair number of people very much not like her. When she agrees to a three-day weekend gig at a science fiction convention, it becomes the perfect place to eliminate her since everyone is in costume carrying all sorts of odd-looking weaponry. Sean Ryan's job of protecting her is not going to be easy. The new pope is certain, and rightly so, that old enemies from Africa and new enemies from who knows where will try to kill him. He is not concerned so much for himself but for the many innocents who might be killed or injured so he has asked Sean Ryan and his people to help train non-lethal tactics to the priests and nuns who routinely walk the Vatican steps. His worries are not unfounded. The results of the previous adventure cause considerable trouble going forward, not the least of which is the Pope is indicted for war crimes. With the Vatican under siege and lots of people wanting to do lots of bad things, Sean Ryan and Associates have their hands full. Part 3 of the Pius Trilogy. Armies are heading to the Vatican. The Pope's rescue by Sean Ryan has been decidedly explosive and the U.N. is particularly unhappy. An adjunct to the Pius Trilogy. This collection of short stories and articles concern Sean Ryan, others in the Trilogy, and essays of connected material. Second book in the Convention Killings saga. After the events of the Pius Trilogy, Sean Ryan spent a while keeping his head down. Now it is time to get back to work and he agrees to provide security at Wyvern Con, the largest sci-fi convention in the world. This will mean keeping the peace between two vocal factions each vying for the "coveted" Hubble Awards. 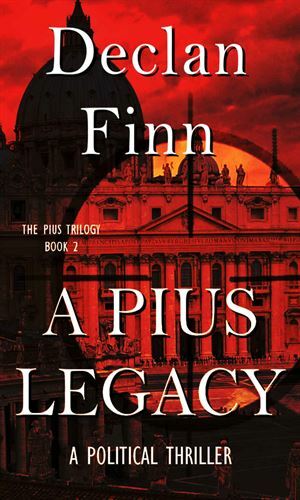 1st story in the Pius Tales collection - Recounts how a Roman Catholic from America, Scott Murphy, becomes a Mossad agent. 2nd story in the Pius Tales collection - A short story retelling of the opening to It Was Only On Stun! in which Sean Ryan gets connected with Agent Marcowitz of the Secret Service. 3rd story in the Pius Tales collection - A killer has three targets onboard the plane with him and would like to eliminate all before they land. 4 We Have A Pope! 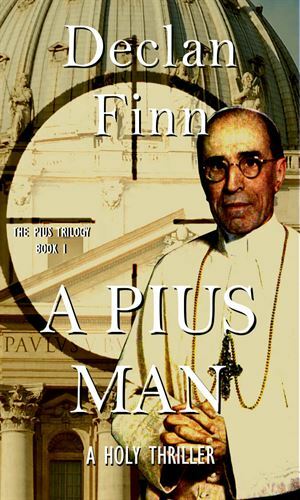 4th item in the Pius Tales collection - A fictional review of the new Pope in the Pius Trilogy. 5th item in the Pius Tales collection - Tells of Jon Koenig and his life as an enforcer with a New York City Mafia family. 6th item in the Pius Tales collection - Told in Twitter items, recounts an early adventure of Sean Ryan and how two IRA gunmen became so angry with him. 7th item in the Pius Tales collection - Father Frank Williams, a priest who plays a major roll in the Pius Trilogy is about to be killed but decides he is against the idea. 8th item in the Pius Tales collection - The rather dangerous Matt from the Pius Tales has an explosive adventure in the Big City. 9th item in the Pius Tales collection - Scott Murphy is in Boston during a 4th of July celebration when mortar rounds starts landing. 10 God Hates ... Superman? 10th item in the Pius Tales collection - Sean Ryan and his partner, Edward Murphy, are working at another science fiction convention. 11th item in the Pius Tales collection - Sean Ryan and Athena Marcowitz are providing security as two large groups who do not care for each other visit a mall. It isn't pretty. 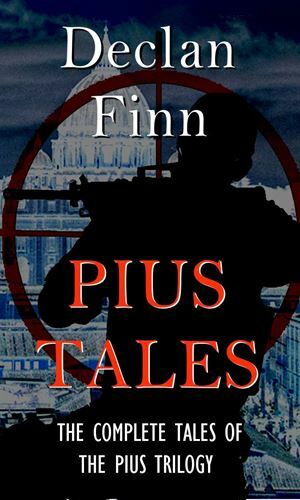 12th item in the Pius Tales collection - Sean Ryan has a little chat with an arms dealer and occasional torturer and then Scott Murphy is off to fighting some unpleasant terrorists. 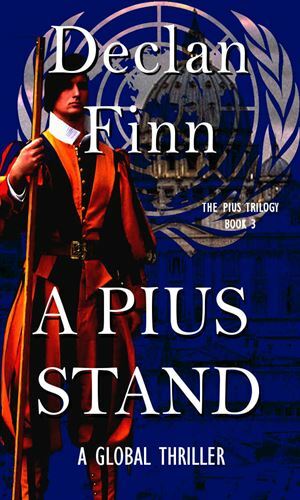 13th item in the Pius Tales collection - He is not happy with gated communities but that is where Sean Ryan's latest client lives so he deals with it as he is hired to protect the man's son. 14th item in the Pius Tales collection - A collection in itself of small articles about the characters and the times of the Pius Trilogy. I really liked Sean Ryan. I also liked a couple of the other major characters in this series like Scott Murphy and Athena. Having to meet and try to remember so many other people got too much for my slow brain and that detracted from the series. I probably got the order of things all messed up. Going by copyright dates and what seems the right sequence of events, I put things the way I thought they should be but the author might disagree. As mentioned above, this is really two series. The first is more a spoof of the security/anti-terrorist business and is a delight to read. The second is a more somber, albeit just as explosive and destructive, look at the world of Catholic security and the steps people outside the Church want to hurt it and people inside the Church want to mold it to their way of thinking. I would have preferred to stay with the first one but I think it would not have existed if the second one has not been the overall plan.